Tooth fairies. No, no, no! Don't close the book! I know what you're thinking. They're sweet, pretty, perfect...totally disgusting, right? I’m even barfing in my mouth a little, and I’m just the guy telling the story. Who wants to read an entire book about tooth fairies? Nobody, that's who. Thank goodness this book isn’t about tooth fairies. Not those ones any way. 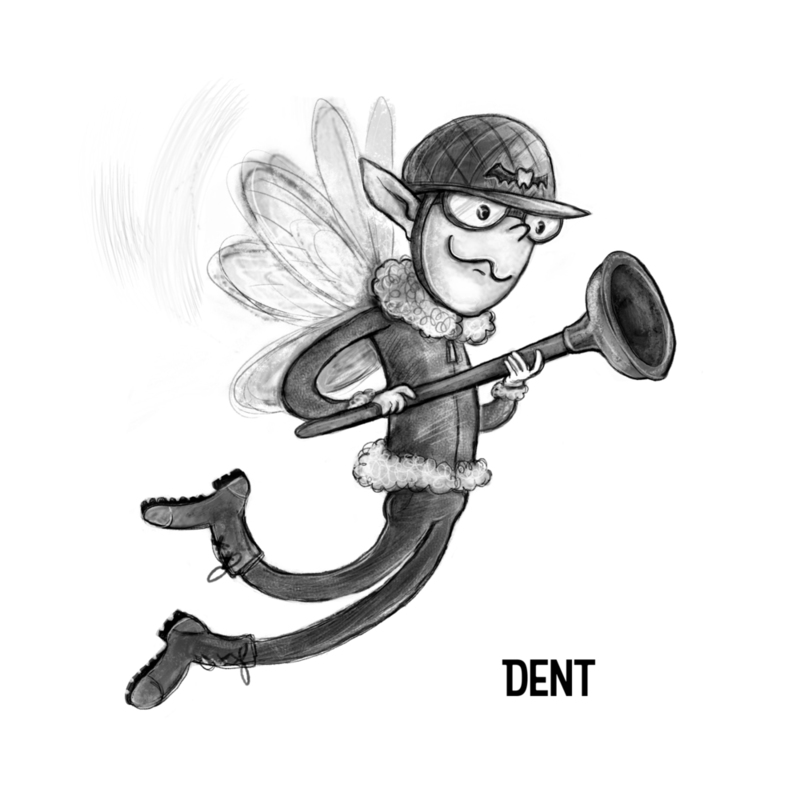 This story is about the other tooth fairies. Strong, fearless, warrior fairies who do daily battle with terrifying monsters in exchange for black eyes, bruises, and the kind of trophies only they can win. This book is about... The Rotten Tooth Fairies! When enormous teeth begin disappearing around the world, an elite squad of monster fighters known as The Rotten Tooth Fairies is the first to respond. And when Gin and Chip Givitis "accidentally" stow-away on the RTF's battle plane, they, too, are pulled into the adventure. Now exploring monster-infested jungles, battling a weird python/parrot/chupacabra thingie, and trading blows with sentient killer plants, these two unexpected recruits must help the RTF solve this bizarre mystery before a hidden evil wreaks havoc on the world… and they must do it all before they are found missing at fairy sleepaway camp.